The diamond was discovered in November in the Karowe mine in Botswana. The mine is owned by the Canadian-based Lucara Diamond corporation. 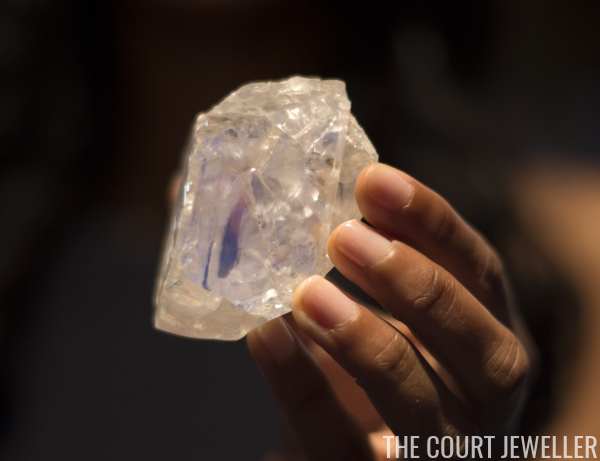 A contest was held in Botswana to name the 1,109 carat gem. The winning name, "Lesedi La Rona," means "our light." 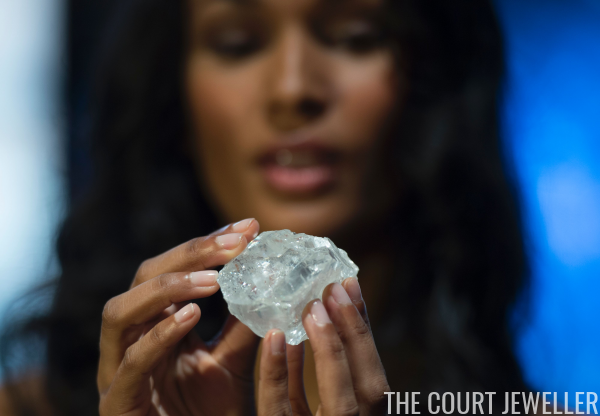 The diamond's estimated auction price is $70 million. The gem is still in its rough state, so whoever purchases it will have to undertake the massive project of cutting and polishing the stone. 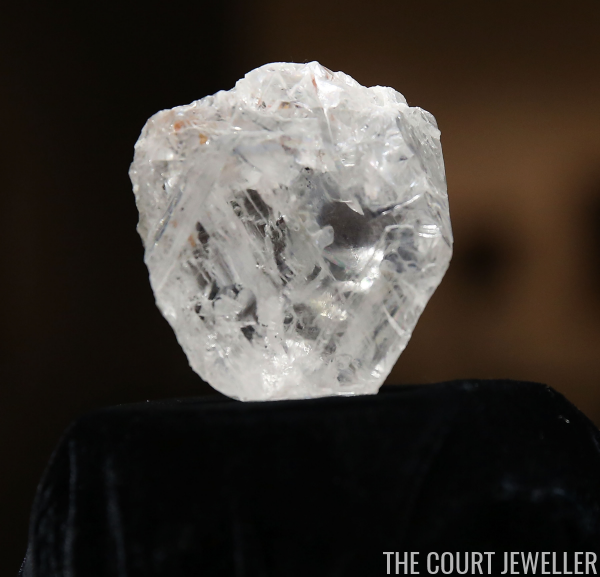 To give you an idea of the massive size of the diamond, many outlets have been comparing it to a tennis ball. Can you imagine??? Here's video from the press preview, where you can see the uncut diamond already managing to sparkle a bit.